It’s all starting to come together in The Walking Dead‘s seventh season. We left Rick and the group surrounded on all sides by a menacing new community last week, after a fruitless search for allies in the battle against the Saviours. The apt title of ‘New Best Friends’ should give some indication as to where this show was going next, if Rick’s scene-closing smile didn’t do it already. Returning to where we left off in ‘Rock in the Road’, ‘New Best Friends’ introduced an enigmatic and formidable new community and their leader, Jadis. The new community live in a junkyard and reveal they are silent scavengers who take from others without endangering themselves. However, they’ll only be allies after a test of Rick’s character – and what a test it is. In one sensational moment, Rick is thrown into a pit with a heavily armoured walker and tasked with defeating it. The resulting scene is strikingly original, anxiety-inducing and effective. Elsewhere, Richard continues his one-man mission to convince Ezekiel to turn against the Saviours. 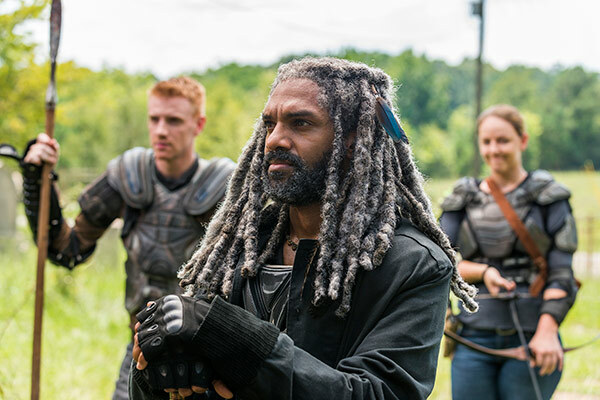 He tries his hardest to get Daryl on board, but Daryl is having none of Richard’s plan to frame Carol for murdering saviours to get Ezekiel to act. Daryl back in friendly territory and speaking again is wonderful. Exactly how unhinged he has been left after his experiences with Dwight remain unclear, but his interactions with Richard, Morgan and Carol are a highlight of ‘New Best Friends’. 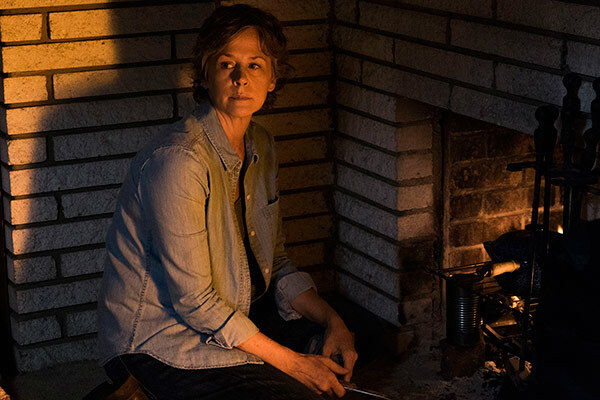 His reunion with Carol is heartbreaking (and Melissa McBride’s performance stunning), as she opens up about her departure and Daryl lies to spare her the hurt of knowing the truth. 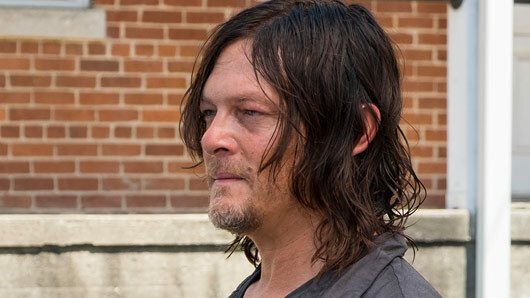 Morgan later comments that the pair share more in common than Daryl wants to believe. It’s an interesting and apt comparison. It’s reassuring that the Daryl we love is still there. ‘New Best Friends’ continued the promise of ‘Rock in the Road’. The Walking Dead feels like it is going somewhere now. We see all our favourite characters in the same episode, and their goals are slowly aligning. We just hope the build-up leads to a worthy climax. « Cheltenham Festival 2017: When and where can I watch it?